King Pig can make the sheep do anything he pleases . . . but can he make them like him ? 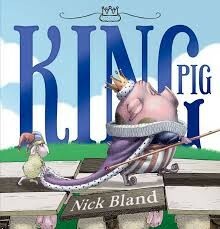 A royal romp from best-selling picture book creator by Nick Bland. Nick Bland has 18 books on Goodreads with 2000 ratings. Nick Bland’s most popular book is The Very Cranky Bear.